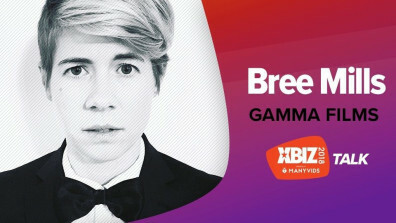 Gamma Film’s head of production, Bree Mills, the mastermind behind Girlsway.com, PrettyDirty.com and PureTaboo.com, will present an exclusive “XBIZ Talk” at the 2018 XBIZ Show next month. Mills will deliver a monologue titled, “Balancing Creativity and Business,” at the industry conference,where she will delve into her unique blend of cinematic storytelling, edgy adult filmmaking and iconoclastic artistry. After all, balancing creativity and business is something that Mills does quite well. The creative force behind Gamma’s four studios juggles her work with expert finesse, ribald flair and a prolific output of about 100 scenes a month. Mills told XBIZ that she’s very excited to host a talk that hits on a topic she’s very familiar with. “To be competitive in today’s market, it is important to be able to understand and utilize both sides of your brain,” Mills said. “One without the other will only get you so far … and this is often a detail that companies overlook, especially those who are removed from production itself. “Just because you sit on a lot of data doesn’t mean you’ll create a compelling brand. However, if you leverage the information and insight you acquire and use them to inspire your creative thinking, then you have the opportunity to be both inspiring and informed. Mills started producing for Gamma about five years ago. She credits her imaginative vision and passion as reasons she’s earned accolades, including XBIZ Awards honors, for her work. In an XBIZ interview earlier this year, Mills described those elements for success. “As a producer, you need to have a vision that you are passionate about. Something you know better than anyone else, that you live and breathe, and that drives every move you make,” she said. “Your passion is contagious … so if you surround yourself with people who feed off your energy, who will take your vision and make it their own, then you’ve built the best army in the world. This commitment to recruiting the best and brightest to her banners, building an army filled with nothing less than the most ardent hearts and daredevil minds, ensures that Mills’ ascendancy will continue for years to come. For when excellence leads the charge, the rest must either rise up with equal fervor, or fall by the wayside. “But it needs to start with you,” Mills underscored. “Your cast and your crew will respect you if you are clear, consistent, organized and not afraid to involve them in your creative process.” Basically, the buck stops at Mills, who recognizes the importance of leading by example. And that shining example, will light a beacon for all of the industry to follow as well. XBIZ 2018 returns to West Hollywood, Calif.’s stylish Andaz hotel from Jan. 15-19 to deliver an upgraded slate of events, culminating on Thursday, Jan. 18, with the 2018 XBIZ Awards show. To book a room at the Andaz during XBIZ 2018 click here. For event sponsorship opportunities, contact [email protected].